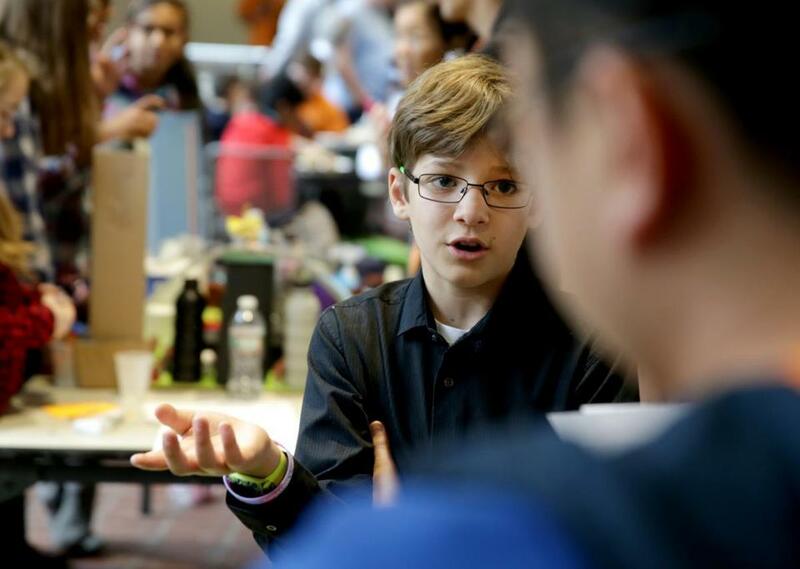 Samuel Chokron from Foxboro Regional Charter School took part in the Future City Competition in Boston. IT’S A BITTERSWEET WAY to celebrate the 25th birthday of this state’s education reform law. But as we approach the quarter-century mark for the landmark law that made Massachusetts the recognized national leader in K-12 education and brought charter schools into being here, the Bay State’s charter school sector is focused on repairing frayed political ties, rebuilding its reputation, and redefining its mission. Considered a smashing success story nationally, Massachusetts charters found themselves bashed as a drain on traditional public schools in the 2016 charter school ballot-question campaign. And even, in the fevered imaginings of some charter opponents, as the cat’s paw of “corporate” reformers supposedly hell-bent on the privatization of public education. A big campaign-finance violation by a key pro-charter-campaign funding group added image-injuring impropriety to the ideological attacks. For those aware of how hard idealistic charter educators work, it’s been a sad period. To be sure, there are some bright spots. This fall, Phoenix Charter Academy will open a high school for those who have previously dropped out or are at risk of doing so, to serve students in Lawrence, Haverhill, and Methuen. Map Academy Charter School will start a similarly focused high school to serve Plymouth, Carver, and Wareham. 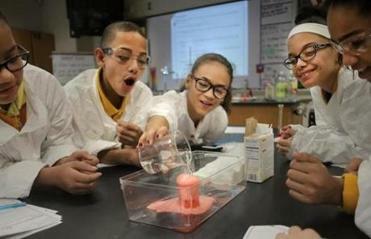 Meanwhile, Hampden Charter School of Science-West is opening in West Springfield, with the aim of expanding to serve some 588 students in grades 6 through 12 from that community, Agawam, Westfield, and Holyoke. The city’s innovative initiative to improve education is earning interest inside the state and out. And the waiting lists for charter schools remain long. Still, the Question 2 thumping has imposed a widely recognized reality: For the foreseeable future, raising the charter cap is off the public policy table, leaving the movement to look to communities where there’s room under the current cap. The good news there, said Tim Nicolette, 38, who took over last August as executive director of the Massachusetts Charter Public School Association, is that there’s still space for some 10,000 new charter seats in urban districts. “We want to have conversations with superintendents and mayors about the needs that they’re seeing, and then we want to have conversations with talented educators who are passionate about those needs,” he said. Charter school proposals that originate that way, Nicolette hopes, will meet with warmer receptions. Another part of the regrouping effort will focus on strengthening political ties. “We very much want to rebuild relationships, both with the Legislature and with the local community,” he said. “We want to invite local officials to come out to see our schools, and we also want our schools to be deeply integrated in the community.” Advice: Importune your senators in particular to come visit. Acquaint them with the data refuting the notion that urban charters have a larger attrition problem than the traditional publics. Show them the progress charters are making enrolling more English-language learners. And make sure they know about the latest research attesting to charter success here. Like the February report from the University of Arkansas’s School Choice Demonstration Project, a research center that studies the effects of school choice, showing that Boston charters are delivering a big bang for the buck. Or the study from MIT’s School Effectiveness and Inequality Initiative, which finds not only that Boston’s “no excuses” charters impart significant education gains but also that those gains have continued as the charter sector has grown. All that is in keeping with past research documenting the big educational gains that Massachusetts charters, and Boston’s in particular, impart. “We want to pick ourselves up, dust ourselves off, and rebuild relationships with the community and the Legislature, and then identify where the greatest needs are and where the opportunities are for us to continue to serve kids,” Nicolette said. Keep your chin up, charter educators. You’ve been an important part of this state’s educational success — and ballot-campaign balderdash notwithstanding, fair-minded observers know that.